We got asked quite often about a possibility to migrate from UltimateMember to PeepSo. Well, there’s an easy option to do it now. Introducing the UltimateMember to PeepSo Migration Tool which moves your data from UltimateMember to PeepSo. It’s free and super-easy to use. Just install PeepSo and all of the plugins you want to use. Add the Migrator plugin, choose a couple of quick options and click the button. That’s it! The migrator will get to work moving over your data. If you’ve wanted to give PeepSo a try but were afraid you’d lose your UltimateMember content, you’ve nothing to fear. We’ve got you covered. Plus all of the other plugins of your choice. But the above are the absolute necessity for the migrator to work. User Friends and Followers – Requires Friends plugin. User Messages – Requires Chat plugin. User Photos and Photo Albums – Requires Photos plugin. Once you have all plugins in place, go to PeepSoUM menu item in the backend, assign profile fields to make sure everything matches and click the ‘Start Migration’ button. Sit back and enjoy. That’s all it takes. Your UltimateMember community will be moved to PeepSo. After the migration is done, UltimateMember and Migrator plugins will be deactivated. 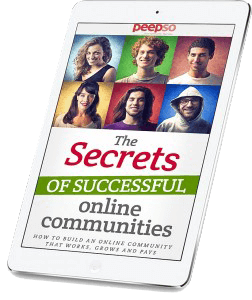 All necessary shortcodes will be set in WordPress pages and your community will be ready for use with PeepSo. Pretty much out of the box. It really depends on the amount of data you already have and server resources. On an average-sized community it shouldn’t take longer than 10 minutes even on a shared hosting. The data is moved in batches, you can see the progress of it too. It’s advised to not only have backups (it’s pretty obvious, but some people still need to be reminded) but to perform the migration first on a staging site before just pressing the button on your production site. If you have any questions or issues, feel free to contact our support and we’ll help you out.